Are you trying to save up for that European holiday you’ve been wanting to take for the past 5 years? Need a new car? Going overboard with online shopping because you need the 54th pair of shoes that you promised will be your very last online purchase? Don’t want to spend those extra few dollars to experience fine dining but desperately want to impress your date? (And get out of the usual Game of Thrones marathon). Okay, I think I’ve made my point. What was it? Not entirely sure but somewhere along the lines of experiencing fine dining without spending your entire pay check. So look no further, HCS have your next outing all figured out. 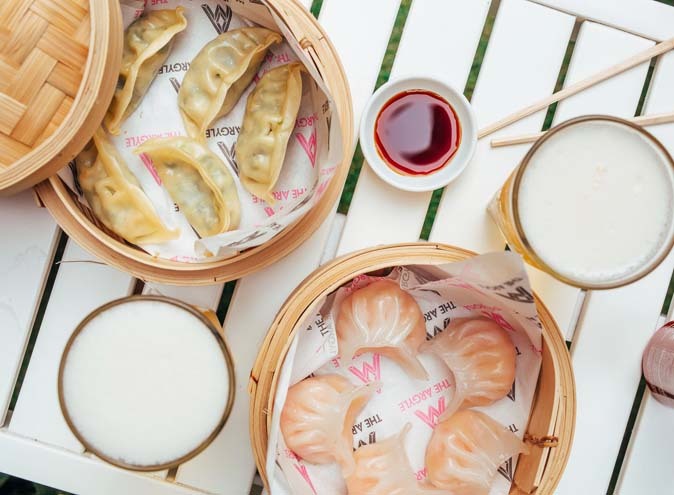 Presenting Sydney’s finest dining experiences where you don’t even need to break the piggy bank. Grab your (sophisticated) friends, a fully charged phone to take your next Instagram photo and you’ll even have money left over to put towards those Europe flight tickets. 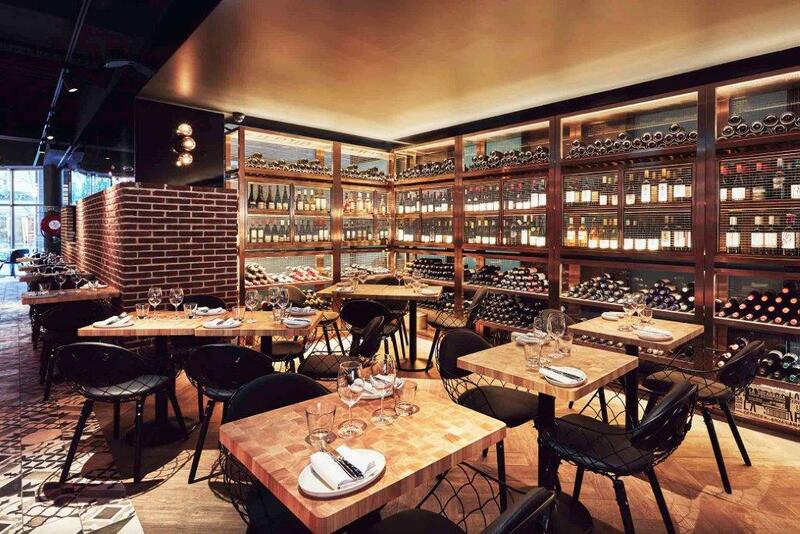 Located in the hub of Sydney, Lot.1 Sydney is a 3-level establishment that is inspired by modern Italian dishes to present in a luxurious New York style setting. 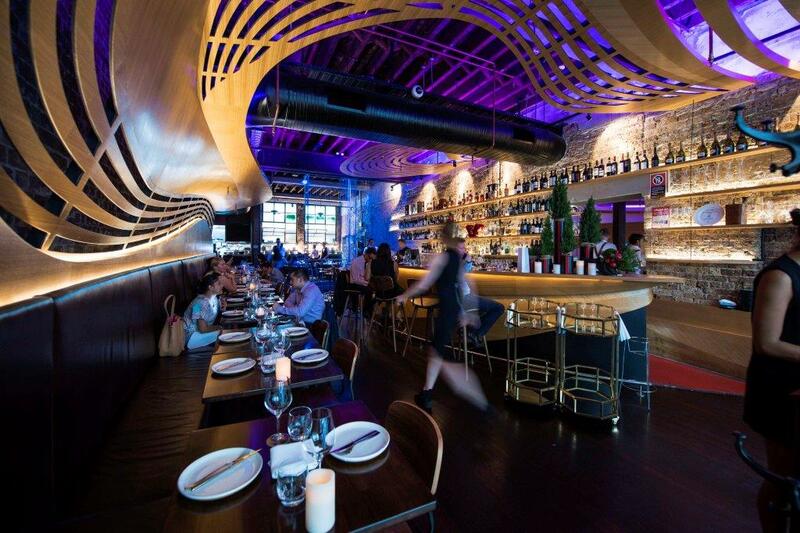 Featuring eye-catching architecture (a timber swirl built into the wall and across the bar that’s visible from the street which represents the swirls of a coffee), it is the ultimate dining experience for Sydneysiders. 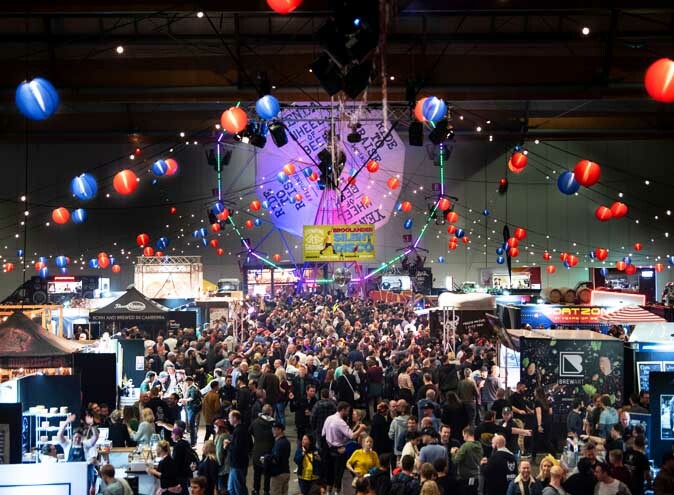 Whether you’re after an impressive degustation dinner, looking to dine in for breakfast or lunch at the Espresso Bar, indulge in a delicious Italian inspired dish at the restaurant or treat yourself with a top shelf whisky at the Safe Bar…Lot.1 Sydney have thought of everything with 4 sectioned areas that caters to everyone. Don’t let me forget to mention the dance floor downstairs at the Basement Bar! A refurbished 19th-century building serving a modern twist on Australian dishes with European influences. 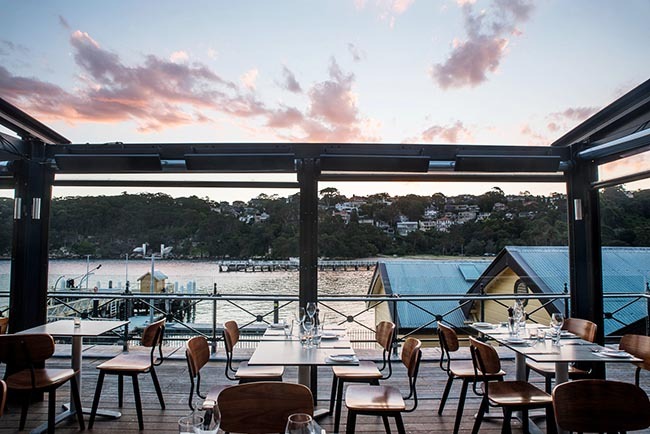 Ripples Chowder Bay presents a wonderful setting with waterfront views and produces wholesome and flavoursome dishes. There is an extensive list of local and international wines to select from to pair with delicious dishes. 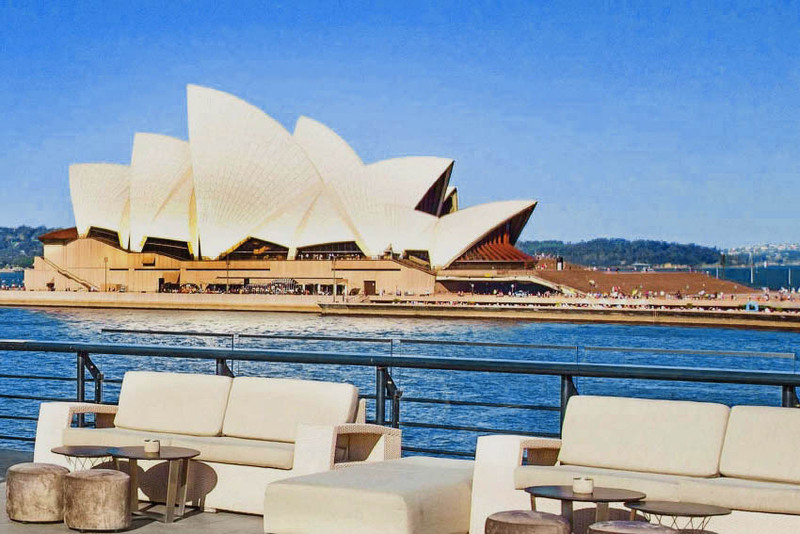 Group reservations are available for up to 27 guests where you will be seated in the main Al Fresco area to enjoy stunning views of Sydney’s skyline. Monday to Friday lunch specials include ordering a main course and side dish with a glass of red or white for only $39 per person! You definitely don’t want to miss the chance of fine dining with a gorgeous sunset overlooking the open harbour. It may not break the bank entirely, but you won’t get away with your loose pocket change either. Quality over price, right? Don’t let me scare you. You’ll get the most amazing culinary experience you’ve ever experienced with stunning city skyline views. 360 Bar and Dining is a revolving restaurant serving signature cocktails and elegant dishes above the iconic Sydney Tower. Featuring pendant light sculptures in a mahogany setting with luxurious leather booths, this venue is perfect for intimate celebrations, date nights, corporate dining or cocktail parties that will certainly impress your guests. Described to stimulate your taste and sight senses, 360 showcases Australia’s finest produce into impressive dishes paired with an award winning wine list. 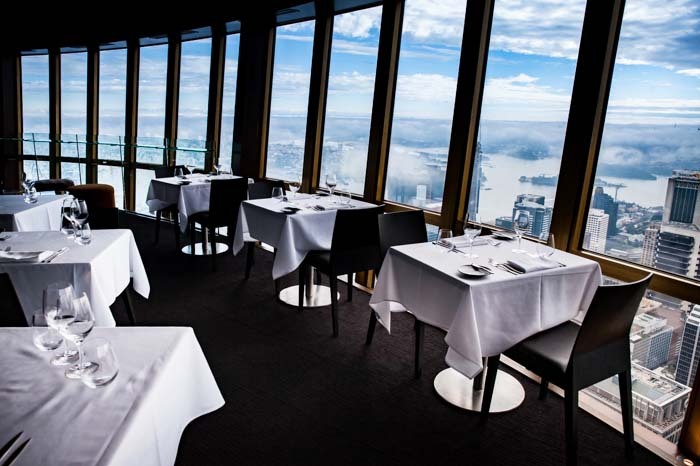 Offering a 1, 2 or 3 course meal to enjoy in an intimate ambience while being 305 metres above Sydney for an elegant dining experience. Located in the heart of Sydney’s CBD, Balcón presents a Spanish infused dining experience that you don’t want to leave (I’m not even kidding). You’ll be transformed in to the heart of Spain (not geographically but in terms of eating)…and the best part? You don’t even need to pay for the flights. Offering a vast variety of Spanish wines (there are 5000 wine bottles on display that express an artistic canvas) to accompany with delicious rustic and refined dishes inspired from Northern Spain. Indoor and outdoor dining is available with comfortable plush seats, timber tables and panelling…the ultimate dining experience! Join Balcón for their happiest hour for $2 oysters and $6 cava every Wednesday from 3pm. 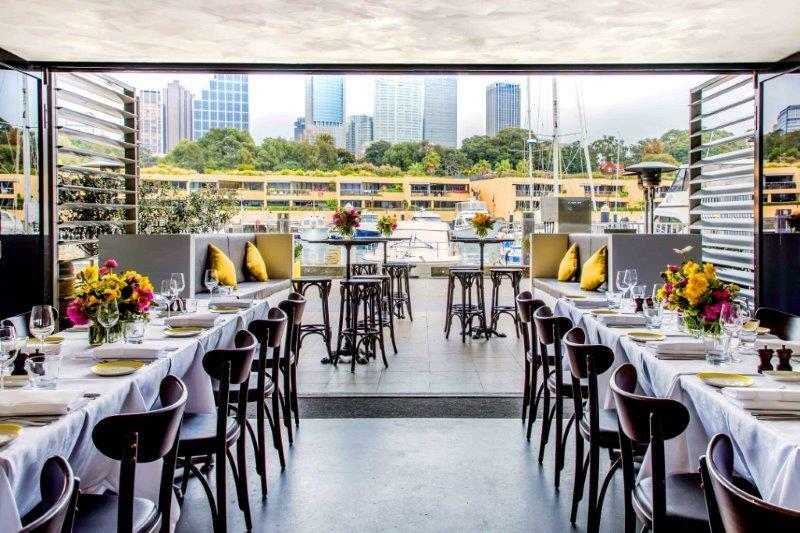 If you’re interested in a modern Italian cuisine with Sydney harbour views and excellent service to bring you mouth-watering dishes, then look no further. 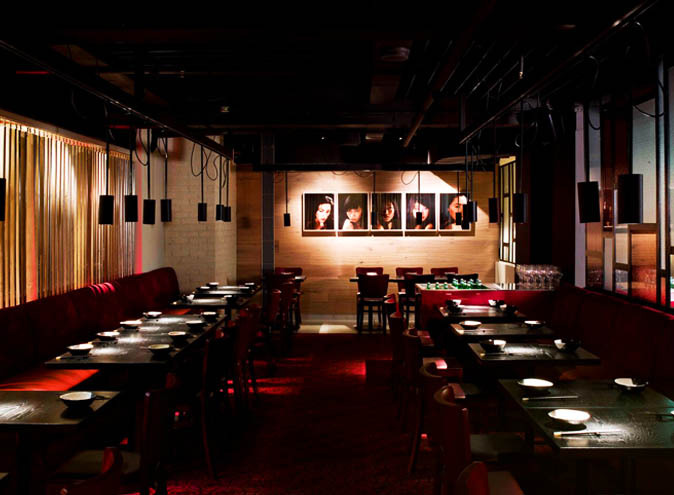 Otto presents a refined and intimate dining area that acts like a hidden getaway for all Sydney-goers. It is a wonderful location by the water for a perfect relaxing sunny day. Private dining is available with 4 sectioned areas that allows 8 to 60 guests for either seating or standing events. With seasonal menu changes, Otto presents one-of-a-kind pasta dishes that will make your jaw drop. Literally. Whether you’re in the mood for Strozzapreti (twisted pasta) with king prawns, Spaghetti with Clarence River baby octopus or in need of Byron Bay Berkshire pork cutlets…this restaurant caters for all. You can dine on a wharf-side terrace today!